Welcome to the school update page of Daybreak Academy in South Jordan, UT. Here, you will find the most recent updates from our official Facebook page. If you haven’t liked our page yet, please do! This will help keep you informed of the latest school reminders, events, and fun daily activities. You may also follow us @daybreakacademy on our school Instagram feed. 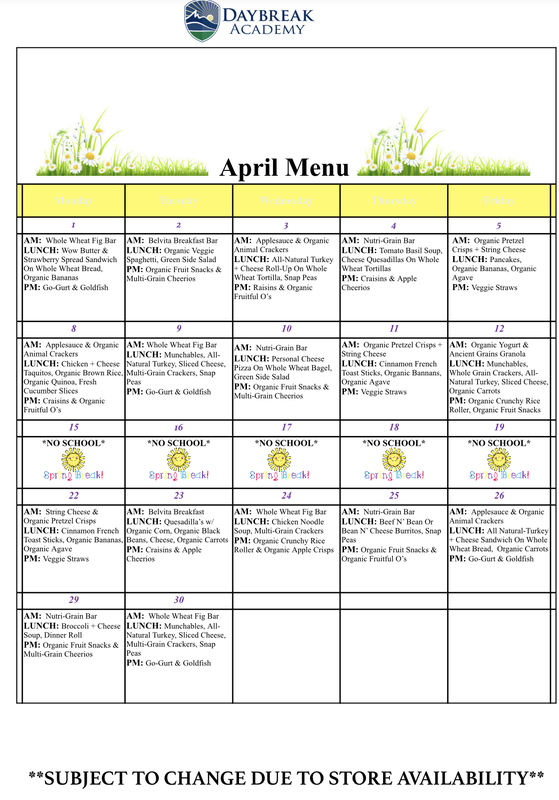 Scroll down to view our school calendar, as well as our lunch and snack menu. Feel free to reach out to us if you have any questions!